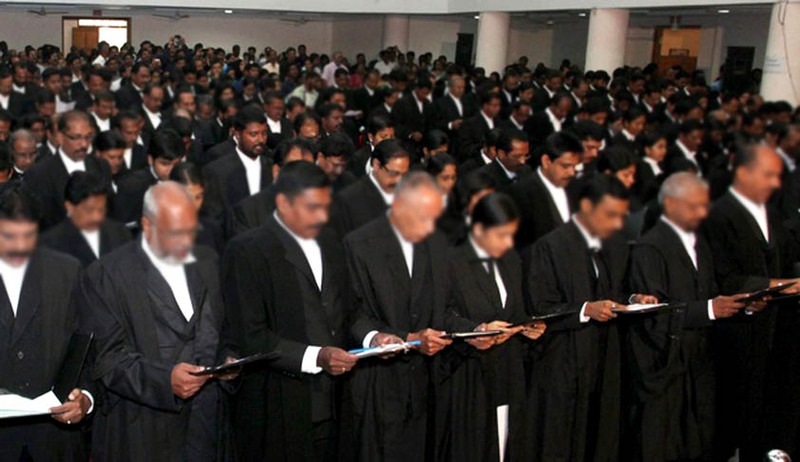 The petitioner, a practising lawyer, had challenged the dress code prescribed by the Bar Council of India on the ground that it caused severe hardship and inconvenience to lawyers in Kerala on account of profusely sweating inside the dress and of making a dignified presentation the next day. According to the petitioner, rules or dress code for the lawyers was thrust upon without taking into consideration the actual requirements. He had averred in his writ petition that black dress happened to be the mourning dress in England which continued to be the uniform of Judges and Lawyers. According to him, though substantial changes had been made in various parts of the world, the rules of High Court of Kerala and the rules framed by the Bar Council still insist for black coat, black gown and white bands. It was the petitioner’s case that prescription of the dress code without having regard to the climatic condition was arbitrary, violating Articles 14, 19(1)(g) and 21 of the Constitution of India and also Section 49(1)(gg) of the Advocates Act, 1961 ('the Act'). The Bar Council of India opposing the reliefs sought for by the petitioner asserted its power to frame rules regarding dress of Advocates in Court under Section 49 and under Section 49(1)(gg) of the Act. The BCI also contended that the Bar Council of India Rules clearly states that except the Supreme Court and High Court, during summer, wearing of black coat is not mandatory. The High Court of Kerala after referring to the various statutory provisions contained in the Advocates Act observed that the competence of the High Court as well as the Bar Council of India to frame rules cannot be questioned as that power is vested in the High Court in terms of Section 34 and the Bar Council of India in terms of Section 49(1)(gg) and it is in terms of the said provisions that the dress codes have been provided. The Kerala High Court endorsing the views expressed by the Allahabad High Court said that the dress of an Advocate distinguishes him from a litigant or other members of the public who comes to a Court. Apart from identity, the dress worn by the Advocate clearly induces the seriousness of purpose and a sense of decorum which are highly necessary and conducive for the dispensation of justice. The Court therefore concluded that the challenge to the rules was unsustainable and accordingly the writ petition was dismissed.